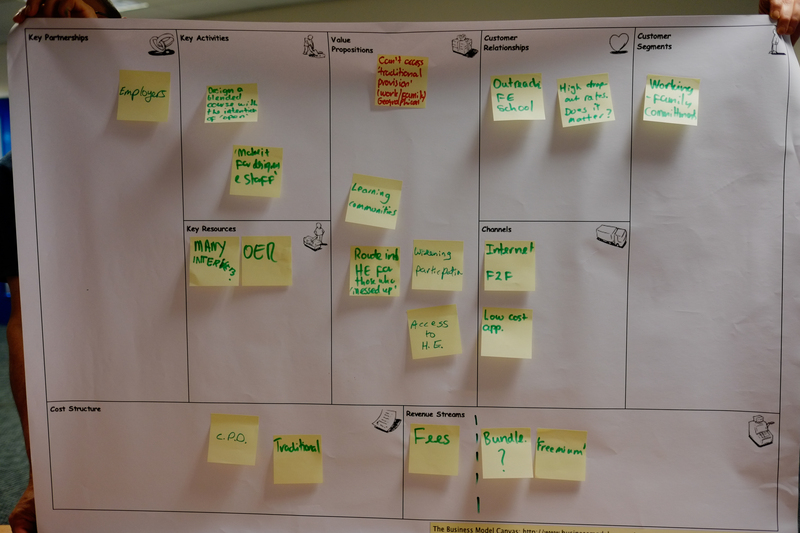 This revised version of the evolution of MOOCs was developed for our paper ‘Partnership Model for Entrepreneurial Innovation in Open Online’ now published in eLearning Papers. Open license: Most MOOC content is not openly licensed so it cannot be reused in different contexts. There are, however, a few examples of institutions using Creative Commons licences for their courses – meaning they can be taken and re-used elsewhere. In addition, there is a trend for MOOC to be made available ‘on demand’ after the course has finished, where they in effect become another source of online content that is openly available. Those OERs and online content can be used to develop blended learning courses or support a flipped classroom approach in face-to-face teaching. Online learning pedagogy: New pedagogical experiments in online distance learning can be identified in addition to the c/xMOOC with variants including SPOCs (Small Private Open Courses), DOCCs (Distributed Open Collaborative Course) and SOOCs (Social Online Open Course or Small Open Online Course). It is likely that they will evolve to more closely resemble regular online courses with flexible learning pathways. These will provide a range of paid-for services, including learning support on demand, qualitative feedback on assignments, and certification and credits (Yuan and Powell 2014). New educational provisions: The disruptive effect of MOOCs will be felt most significantly in the development of new forms of provision that go beyond the traditional HE market. For example, the commercial MOOC providers, such as Udacity and Coursera, have moved on to professional and corporate training, broadening their offerings to appeal to employers (Chafkin, 2013). In an HE context, platforms are creating space for exam-based credit and competency-based programs which will enable commercial online learning providers to produce a variety of convenient, customizable, and targeted programs for the emergent needs of the job market backed by awards from recognised institutions. Add-on Services: The development of online courses is an evolving model with the market re-working itself to offer a broader range of solutions to deliver services at a range of price levels to a range of student types. There is great potential for add-on content services and the creation of new revenue models through building partnerships with institutions and other educational service providers. As these trends continue to unfold, we can expect to see even more entrepreneurial innovation and change in the online learning landscape. 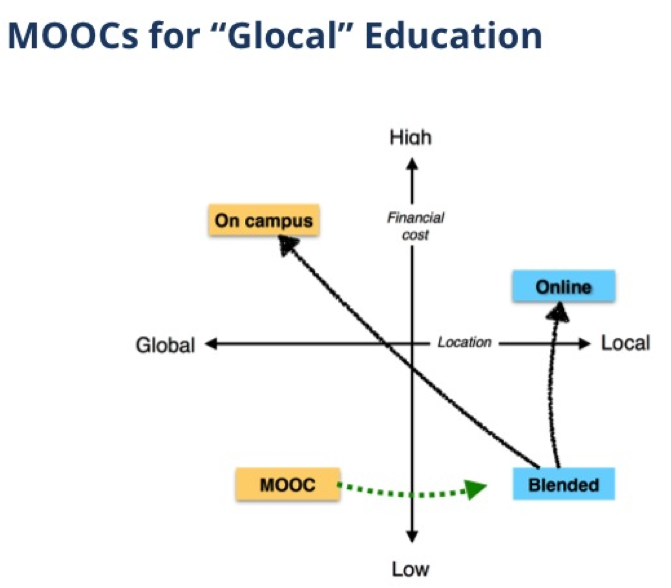 This diagram illustrates how MOOCs may offer a low-cost, flexible alternative for those ‘glocal‘ students, who choose to study in universities in their home countries but also gain an international experience (something that is highly valued) through studying courses online (MOOCs, the OU’s OpenLeran, etc.) that are integrated into their own university curriculum. For institutions providing the free content, these courses can help universities to market their higher degree programmes and recruit new students who are better prepared to study on-campus in the UK, or through fully online degrees without leaving their own countries. 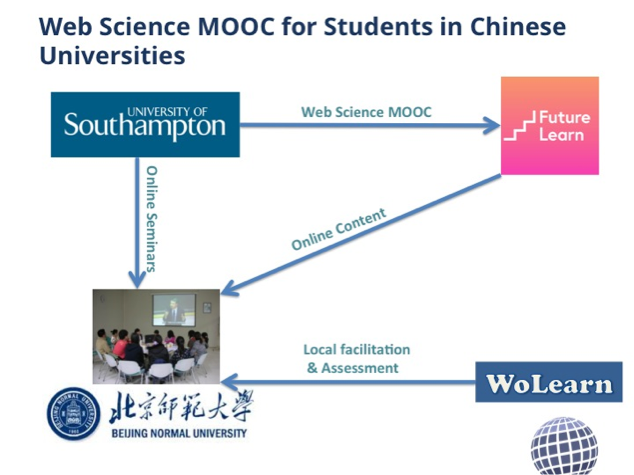 As an example, we looked at the Web Science MOOC created by the university of Southampton which has been integrated into a computer science course by Beijing Normal University (BNU). 87 first year undergraduate students who are studying an introduction to computer science have signed up for the course on Futurelearn. In addition to attending lessons offered by BNU, they also watch videos online and discuss the learning materials with their peers and the tutor face to face or online. Several online seminars are delivered by academics from the University of Southampton. Online facilitations and assessments are provided by the local tutor on the Wolearn platform in China during the MOOC study. Flipped and blended learning approaches are used to make online and face to face learning more effective and integrated between the BUN course and the Web Science MOOCs. 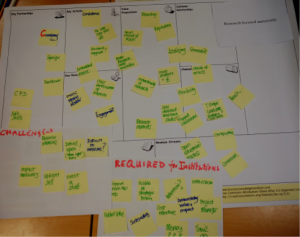 This experiment showed how we can use MOOCs to explore new paths and models for affordable, flexible and effective international education through online or blended provisions. Furthermore, to help us understand how MOOCs might be developed to enhance UK universities’ reputation internationally and to better market their courses to potential students through partnerships with universities in other countries. Not surprisingly, one of the challenges mentioned again during the penal discussion session was business models for MOOCs. It is clear that some institutions have seen the new opportunities presented by MOOCs as a useful motivation for re-examining their current provision and think about ways in which they can change and diversify, and consider MOOCs as a part of new strategic direction for future online provision nationally and internationally. At the Cetis conference 2014, Stephen and I facilitated a session on “Open Education and MOOCs”. We began with two very interesting presentations from Audrey Watters, a journalist and author of Hack Education, and Amy Woodgate from The University of Edinburgh. 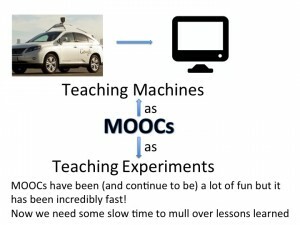 They offered two different perspectives: MOOCs as teaching machines vs MOOCs as teaching experiments. A contrasting view developed in Amy’s presentation discussed how Edinburgh MOOCs have been used for experimenting with new online delivery methods and capability building. In this case, MOOCs can be seen as a vehicle for exploring new online learning pedagogy, acting as a catalyst for institutional change. Highlights: Although finance and revenues are not big concerns for this type of institution, good will, enthusiasm and spare time of academics will not sustain institutional MOOC provision in the long run. 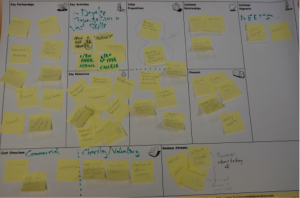 Highlights: Great opportunities for blended learning, flipped classrooms and experimenting with unbundling and rebundling. However, the new courses and models need to generate new revenue streams for institutions. Highlights: new market was identified to meet the unmet needs, such as NEETS. But it is unclear who is going to pay for it. Overall, the session gave us lots of food for thought. After two years of MOOC hype, it is interesting to see that Udacity has moved towards corporate training and professional development and Coursera has also has shifted their focus away from impact on learners towards working with institutions. The most significant contribution yet of MOOCs in higher education is that it has raised awareness of open education and raised the profile of open education resources (OERs) in teaching and learning practices in institutions. However, it emerged from discussions and the BMC exercises during the session that without vital financial support and a viable business model, the new wave of optimism around open online learning generated by MOOCs will gradually fade away. MOOCs and Higher Education: What is next? I gave a presentation on “MOOCs and Higher Education” at the SCONUL annual conference in Dublin last week. In the presentation, I examined the potential of MOOCs as a disruptive innovation and an emerging technology in higher education, and explored the concept, business model and trends of the MOOC phenomenon. The full presentation is available at here. The Gartner Hype Cycle has been widely used to illustrate the processes of maturity, adoption and applications of emerging technologies in society. A question I posed in my presentation was, will MOOCs fall into this pattern of technology adoption? 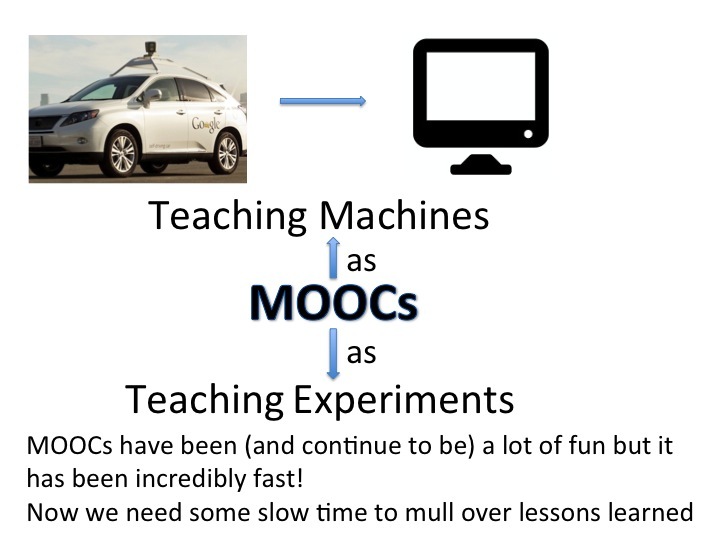 If we take the Artificial Intelligence course at Stanford in 2011 as the starting point for the hype cycle, then 2012 was, ‘The Year of the MOOC’! This was manifested by the rapid spread of media coverage and the elite institutions forming partnerships to launch online courses shown as the upward trend of the graph moving toward the “peak of inflated expectations.” In 2013, less optimistic news and research findings have been appearing, e.g. the recent announcement from Coursera, which deflated expectations of MOOCs shown as the downward trend of the graph line. Are MOOCs beginning the short journey into the ‘trough of disillusionment’? 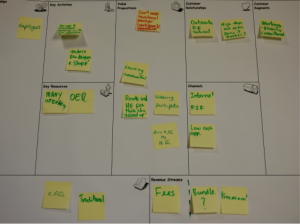 Is the time approaching for MOOCs providers and universities to figure out what works and what doesn’t work? Sometime in the future, if and when MOOCs enter the ‘slope of enlightenment and plateau of productivities’, will they then have a real impact on the delivery of higher education? The answers to these questions remain to be found in the future! The question to MOOC or not to MOOC has perhaps been discussed in many institutions’ committee meetings recently, such as this tongue-in-cheek one on Tony Bates’ blog! While some leading universities in North America and Europe have joined Coursera to offer MOOCs, a recently published report from Queen’s University in Canada, which made recommendations about the institution’s policy and strategic planning on online learning, suggested that “Queen’s does not become involved in MOOCs until and unless there is greater support for online learning (within the university)”. It has also been reported that some institutions have been denied the opportunity to offer MOOCs through Coursera because, as a company policy, it only works with ‘elite institutions’, e.g. the ‘top five’ universities in countries outside of North America. 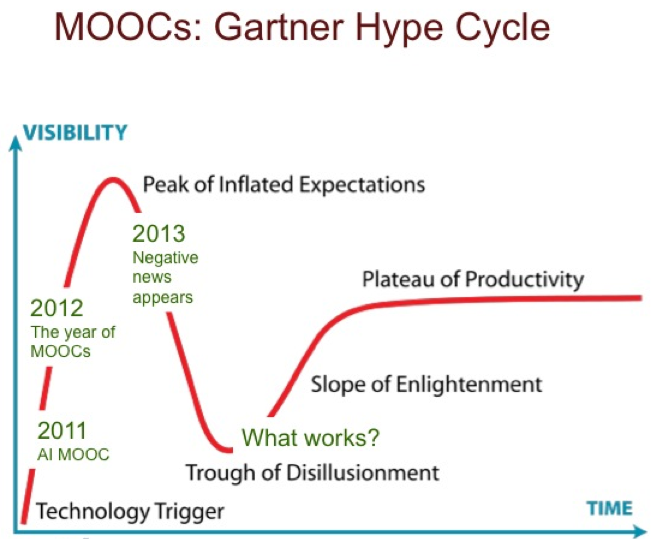 No doubt discussions on what institutions should do about MOOCs will continue until the hype cycle has passed. Coursera recently announced that it made $220,000 profit in the first quarter of 2013 by charging for verified completion certificates and receiving revenue from Amazon through learners buying books suggested by the professors headlining MOOC courses. This ‘brand + content = revenue’ model seems a win-win business proposition. Students pay for certificates from elite universities and the professors sell more of the books they’ve published to a mass audience, publicised via recorded lectures on their MOOC courses. In this case, many would argue that online learning should be considered a pedagogical choice (e.g. cMOOCs) rather than a cynical money making approach to education. Whether institutions have been involved in MOOCs or not, it is clear that the development of MOOCs has re-focused institutional attention on how to provide effective online learning in order to gain competitive advantages in a global educational market. As the Queen’s University report suggested, the university needs to have “a plan that sets clear goals for online learning, identifies the resources needed, and makes the necessary organizational and structural changes”. 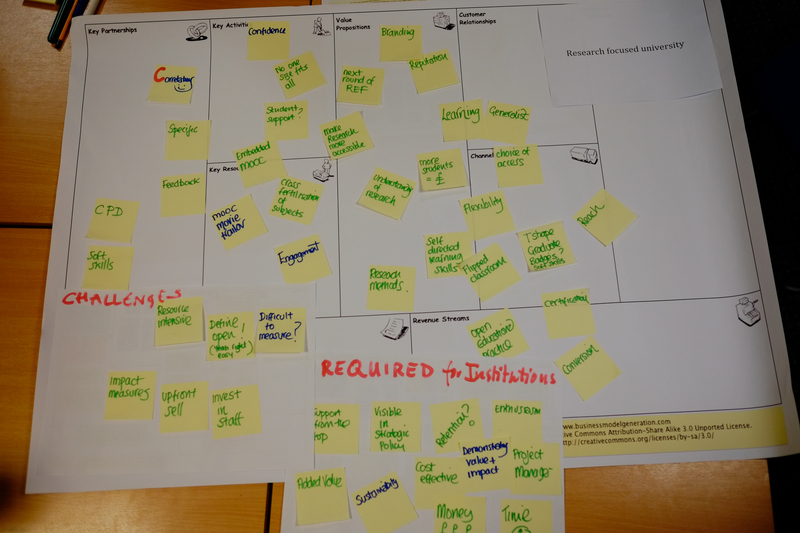 Institutions will need to rethink their organisational structures and business models to make teaching and learning more effective, pedagogically and financially, either via face-to-face or online. Following on from the recently published CETIS MOOCs report, we believe that there is a need to make sense of the new pedagogical approaches and business models around MOOCs and other forms of online courses, and produce an analysis to help inform about institutions’ policy and strategic planning with regard to online distance learning. The rapid development of MOOCs has generated significant interest in the new form of online learning model from governments, venture capitalists and institutions, due to their key attractions of scaled up ‘massive’ open access to online courses for anyone, anywhere in the world. It has also created a great deal of debate around how MOOCs will have impact on conventional HE providers and whether it will disrupt existing business models in Higher Education. The phenomena of MOOCs has surfaced many questions about the role of universities in society and has challenged traditional views about teaching, learning and assessment. A key question surrounds how institutions can develop a cohesive strategy in responding to the opportunities and challenges posed by MOOCs and other forms of openness in higher education. The CETIS white paper on “MOOCs and Open Education” seeks to raise awareness of MOOCs in higher education institutions. 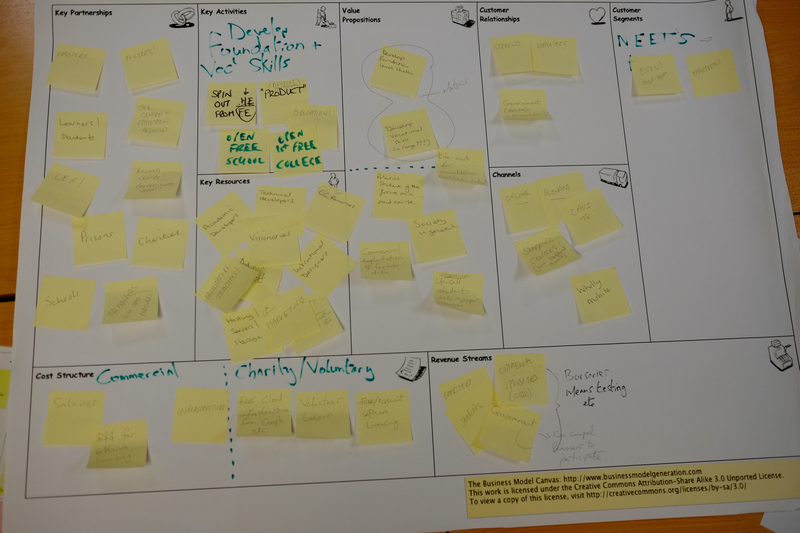 It offers a framework for thinking about MOOCs issues and challenges as disruptive innovations and for stimulating future thinking on open education. This report was largely informed by various commentators’ and practitioners’ thinking on MOOCs from their blogs and press releases, with additional intelligence from openly available reports. It has also been shaped by various activities that CETIS have been involved in, for example in promoting openness and supporting innovation in UK institutions. The report is written from a UK higher education perspective and takes into account current changes on funding and fee structures in the UK higher education and the desire for more accessible, cheaper and flexible HE provisions from traditional institutions and private providers. We hope this report will help decision makers in institutions gain both a better understanding of the phenomenon of MOOCs and trends towards greater openness in higher education and a framework to think about the implications for their institutions.